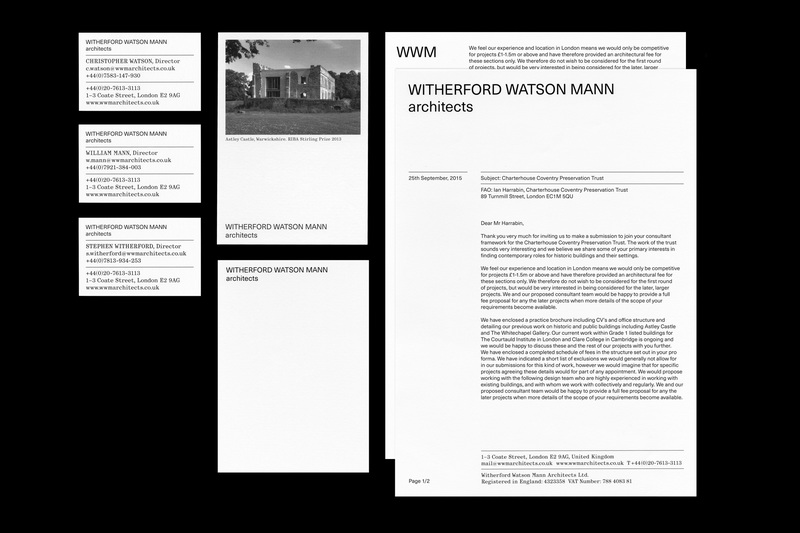 A visual identity for Witherford Watson Mann, winners of the 2013 Stirling Prize. 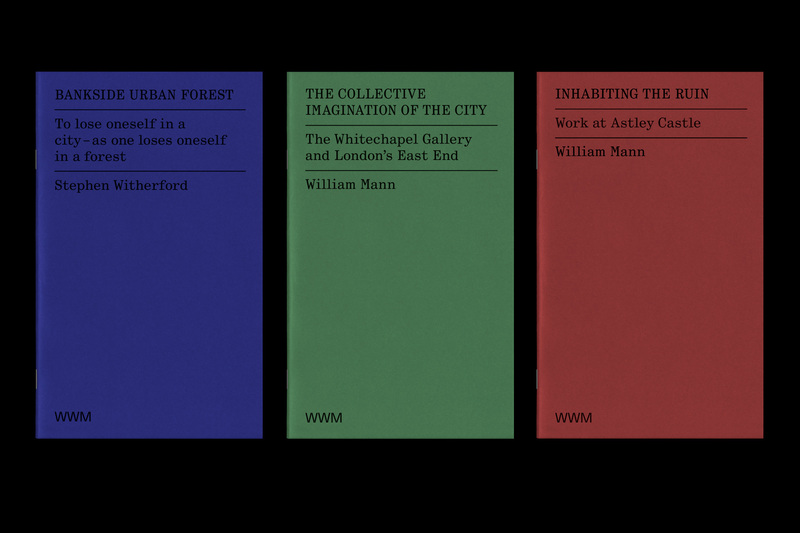 The scope of works included the development of a typographic palette, website and application to all printed and digital communications. 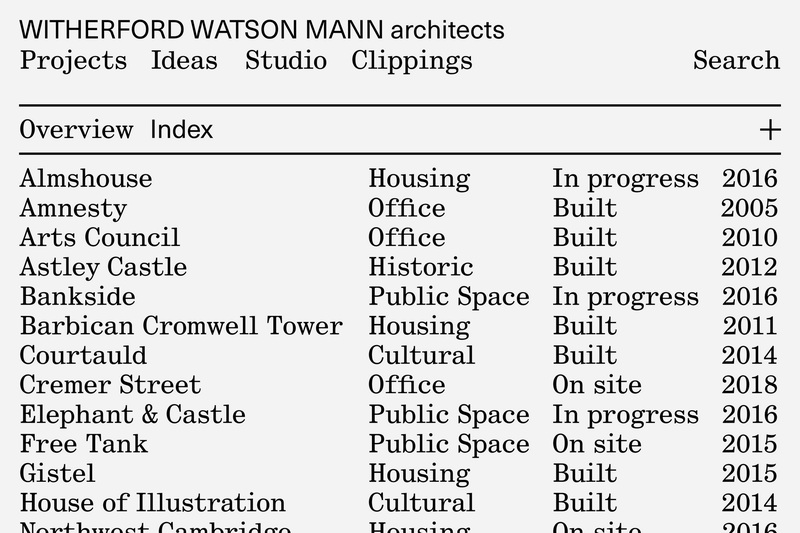 The delivery of an extensive guideline and set of templates enable the practice to undertake all ongoing communications in house.